Vintage Metal Microphone Against Red Curtain Backdrop. 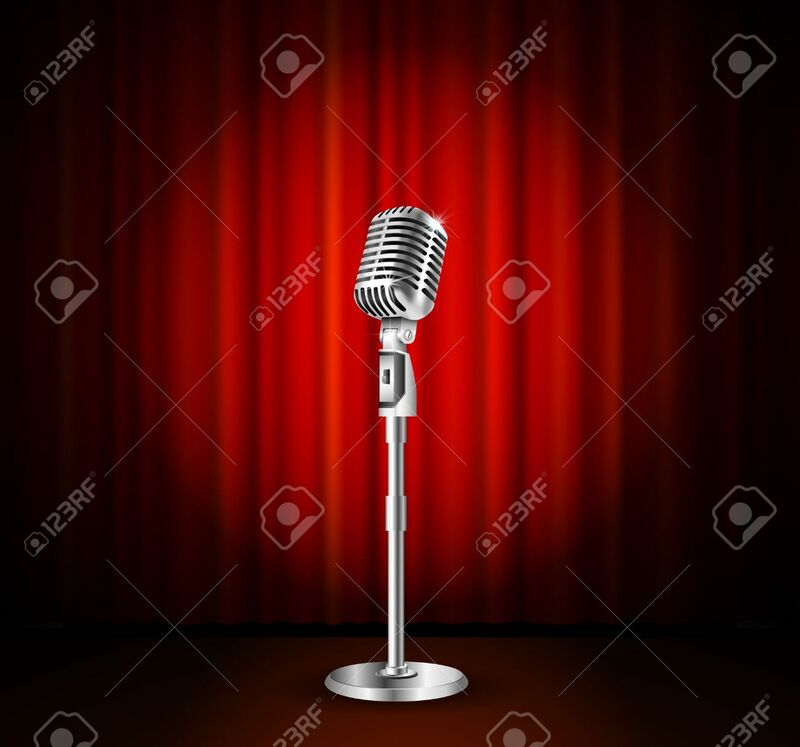 Mic On.. Royalty Free Cliparts, Vectors, And Stock Illustration. Image 49398250.